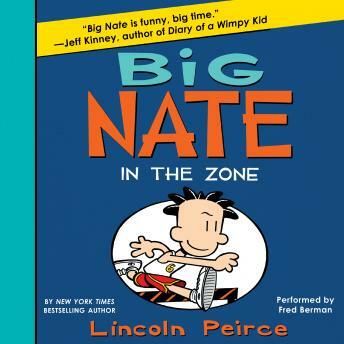 The sixth Big Nate book in the New York Times bestselling series by Lincoln Peirce! Perfect for fans of the hilarious Diary of Wimpy Kid series. A laugh-out-loud must-read illustrated novel starring the one and only cartooning genius, king of detention, and Cheez Doodle connoisseur, Nate Wright. Nate’s not having the best of luck . . . in fact; he’s not having ANY luck. But with a little boost thanks to Chad’s lucky foot, suddenly good luck is everywhere Nate turns! Nate’s in the zone! But how long will it last? Includes a sneak peek to the seventh Big Nate novel!